Saturday sees the running of the Sacred Falls Hawke’s Bay Guineas. Regarded as the first classic of the season, it is a very important race on the New Zealand Racing Calendar. 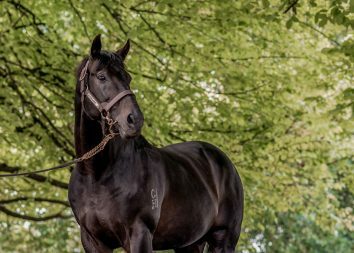 Over the past 20 years it has been won by the likes of multiple Group 1 winners Alamosa, Darci Brahma, Jokers Wild, Jimmy Choux and Turn Me Loose – but none were better than the Waikato Stud bred Sacred Falls. By Champion Sire O’Reilly, he was the third foal of the Redoute’s Choice mare Igauazu’s Girl, a half-sister to Australian Group 3 winner Splashing Out (dam of SW’s Splurge, Shopaholic and Packing Pins) from the 12 time winner Iguazu. A really nice colt as a yearling, he was sold at the 2011 Premier Sale at Karaka to the bid of Guy Mulcaster Bloodstock, on behalf of Raffles Racing for $160,000. Sent to the astute Tony Pike stable, he immediately showed above average ability, winning both his 2YO races before a comprehensive victory in the Listed Westbury Challenge Stakes at Ruakaka. On the back of this run, he was the horse on everybody’s lips and went into the Hastings a short-priced favourite. 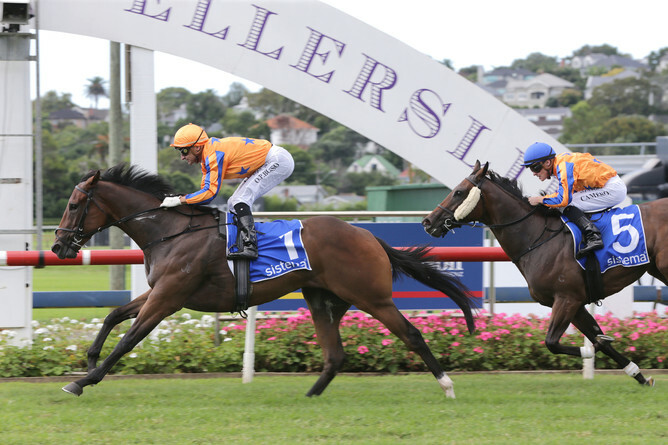 The Hawke’s Bay Guineas showed the world that he was a star! After slipping at the start, he missed the start by around six lengths. Picking himself up, he quickly mustered speed to settle midfield. Leith Innes angled him into the clear coming around the turn and he quickly dashed to the front, going on to win ‘eased up’ by 1 ¼ lengths. Renowned caller Tony Lee commented “what an amazing performance from what could be a great horse”. That day he defeated Southern Lord who came out later in the Spring and won the Group 1 Levin Classic. He then went to Te Rapa and ran down Rollout The Carpet (who went on to win the Gr.1 1000 Guineas). He then went down to Christchurch and maintained his unbeaten record with an authoritative victory in the Gr.1 2000 Guineas. With an unbeaten record in New Zealand, he was sent to Australia, joining the Chris Waller stable. While there he added another three Group 1’s – two Doncaster Handicaps (inflicting Pierro’s only Sydney defeat in his first Doncaster) and a George Main Stakes over 1600m at Weight For Age level. He finished his career with nine wins (4 x Group 1’s) and $4,688,237 in prize money. He has begun his stud career as he did on the racetrack – in style. He was leading first season sire at this year’s Karaka Sales and his first horse on the track was a trial winner. We believe Tony Lee was right on the mark – he is a great horse and on Saturday we will see another top class three-year-old take a step towards greatness. 1. SWORD OF OSMAN – A Group 1 winner over 1200m as a two-year-old, he will be fitter for his first up run where he was fractious before the start. The barrier blanket and side winkers go on while top jockey Opie Bosson (who hasn’t ridden him in a race since winning the Group 1) reunites with him. Drawn to get the run of the race from the inside, the son of Savabeel has the chance to get back into the Winners Circle. 2.SIR NATE – Group 1 placed over the 1400m in the Manawatu Sires Produce Stakes (albeit easily beaten), he will be fitter for his first up run where he raced in restricted room over the concluding stages. Has had a trial since that run and Johnathan Parkes take the ride. From the good barrier he should get the run of the race and looks to have an each way chance. 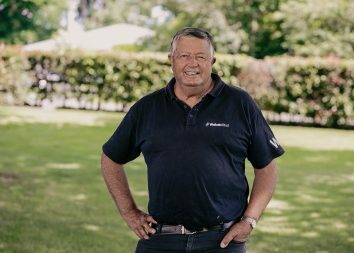 3.BOBBY DAZZLER – Looks a very promising galloper winning two of his three starts and was able to get the ‘bob in’ when winning the Listed Wanganui Guineas. All his races thus far have been on wet tracks so it will be interesting to see how he performs on top of the ground. Comes from the strong Stephen Marsh stable and with Danielle Johnson in the saddle, he should get every chance from the barrier. 4.CYBER ATTACK – He is racing in great form since turning three and defeated a number of his opposition here a month ago. He has only had two unplaced runs which have come on good tracks and his chances weren’t enhanced when drawing barrier 15. Tony Pike who trained Sacred Falls will have him primed for this race. Vinnie Colgan will look to be positive from the wide barrier but he is going to need plenty of luck. 5.MADISON COUNTY – Ran very well in the Northland Breeders Stakes when running second and he is sure to have derived great benefit from the run. The step up to 1400m should suit and from the barrier Matt Cameron will allow him to find his feet in the early stages. Hopefully he can track into the race coming into the straight and be given his chance in the straight. Given luck in running the WS bred son of Pins looks to have an each way chance. 6.QIJI EXPRESS – Like Madison County, he comes from the all-conquering Baker/Forsman stable and won well last start at Taupo when the blinkers went on for the first time. With Matt Cameron on Madison County, Rosie Myers takes the ride here. Drawn wide, he is going to need luck in the running but the step up to 1400m should suit. 7.REEVEDERCI – He was super impressive when winning on debut as a two-year-old on a very heavy track at Avondale and will be improved from his good run in the Northland Breeders Stakes. Drawn awkwardly, Leith Innes will allow him to find his feet, settling back in the field. Getting into the clear early in the straight, look to see him finishing off strongly. On pedigree, he is going to be better when stepping up in distance. 8.CAVALLO VELOCE – Still a maiden after four starts, he looks a very nice colt and this is sure to be a target race with the stable winning the race previously with Alamosa, Antonio Lombardo and Amarula. The blinkers go on here and Shaun McKay commented after his last run that he is looking for further, so he should be suited by the 1400m. I wouldn’t surprised to see the son of O’Reilly in the finish. 9.KING LOUIS – A locally trained galloper who should be fitter for two runs back from a spell. The stable (and owner) won this race in 2010 with Jimmy Choux. Ran well here two weeks ago but does meet the winner (and third horse) worse off at the weight. From the good barrier, he will go forward and looks the likely leader and Jason Waddell will look to give him his chance. 10.THOMAS AQUINAS – Despite still being a maiden after five starts, he looks like potentially a very good horse. Was narrowly beaten last start against the older horses and didn’t have the best of luck over the concluding stages. Little query that Matt Cameron and Jonathan Riddell are on other horses from the stable so Michael Coleman takes the ride. Likely to settle back in the run and be hitting the line strongly – wouldn’t be leaving him out of trifecta’s etc. 11.CUTADEEL – Rounds out the four pronged attack for the Baker/Forsman stable (along with Madison County, Qiji Express and Thomas Aquinas) and is another fitter for one run back from a spell. He steps up to 1400m which will suit and Jonathan Riddell maintains his association with the son of Dundeel. From barrier four he should get a great run during the race. He is another that needs to be in trifecta’s. 12.STAR PERFORMANCE – With a bit of a habit of beginning awkwardly, it is likely he won’t be able to use barrier two to his advantage, settling back in the field. He is going to need luck to get through the field in the straight. He ran well last start here two weeks ago for third after being inconvenienced in the straight although a few of these look a bit better at this stage. 13.MELT – A very exciting filly who has won four of her six starts. She has won both her runs this preparation and is one of the few that is proven on good ground. Since the blinkers have gone on she is two wins from three starts (finished 2nd to Avantage in a Group 1) but has drawn a touch awkward in barrier 9. The negatives are most of her racing has been right handed and the last filly to win this race was Singalong back in 2000. In saying this, there probably hasn’t been too many fillies of her calibre contest this race over the years – a must include. 14.PRINCESS AMELIE – This very well bred daughter of Snitzel proved too good for her opposition here two weeks when having the blinkers on for the first time. She got the run of the race from barrier two on that occasion whereas here she is drawn the outside which makes her assignment much more difficult. Although a nice filly, this looks much tougher and she might have to wait for another day. 15.PLATINUM MAM’SELLE – Resumed with a 5th placing here two weeks ago when beaten 4.5 lengths behind Avantage in the Gold Trail Stakes. Chris Johnson takes the ride for Lisa Latta (who also has Sir Nate and Princess Amelie in the race) and feel there are a few in this race with better credentials.